The History of the Catholic Church in Italy is part of the history of the Catholic Church, under the spiritual leadership of the Pope, curia in Rome, and the Conference of Italian Bishops. In addition to Italy, two other sovereign nations are included in Italian-based dioceses, San Marino and Vatican City. 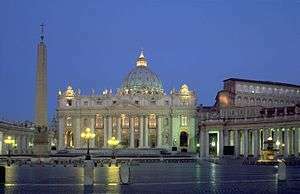 There are 225 dioceses in the Italian Catholic Church, see further in this article and in the article List of the Roman Catholic dioceses in Italy. 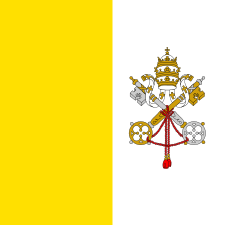 The pope resides in the Vatican City, in Rome. Rome, and Italy, have been major centres for Christian pilgrimage since the Roman Empire, and Rome is commonly regarded as the "home of the Roman Catholic Church", since it is where St Peter traveled, ministered, served as bishop, and died. Owing to the Italian Renaissance, church art in Italy is extraordinary, including the works by Leonardo da Vinci, Michelangelo, Fra Carnevale (priest and artist), Gian Lorenzo Bernini, Sandro Botticelli, Tintoretto, Titian, Raphael, Giotto, etc. Christianity arrived on the Italian peninsula in the first century, probably by unknown travelers, traders or soldiers. Letter to the Romans of Paul the Apostle is addressed and attests to the presence of Roman Christians in the first century. Christians in Rome were also in touch with St. Peter and St. Paul the Apostle, both of whom went to Rome on mission and were eventually martyred there. One of the first Italian bishops and popes was Clement of Rome who wrote a letter to the Christian community in Corinth (1 Clement) around AD 96. Over its two thousand-year history, the Church of Italy grew in size and influence, producing and/or harboring (sometimes before martyrdom) some of the greatest leaders and movers of Catholic Christianity, including Priscilla and Aquila; Ignatius of Antioch, martyred in Rome; Polycarp, martyred in Rome and a disciple of John the Evangelist; Agnes, Roman martyr; Lawrence, martyr; Justin Martyr, teacher and martyr; Hippolytus, priest and martyr; Cecilia, Roman martyr; Ambrose of Milan, bishop and Doctor of the Church; Jerome, theologian and Doctor of the Church; Benedict of Nursia, founder of the Benedictine order and of Western monasticism; Leo the Great, bishop of Rome and Doctor of the Church; Gregory the Great, bishop of Rome and Doctor of the Church; Augustine of Canterbury, Roman monk, Benedictine missionary to England, later English bishop; Urban II, pope or Bishop of Rome who called for the First Crusade; Anselm of Canterbury, Italian-born philosopher, Doctor of the Church and later English bishop; Francis of Assisi, mystic and founder of the Franciscans; Bonaventure of Bagnorea, Franciscan theologian and Doctor of the Church; Thomas Aquinas, Dominican theologian, philosopher, and Doctor of the Church; Dante, poet; Catherine of Siena, mystic, reformer, and Doctor of the Church; Monteverdi, composer; Robert Bellarmine of Tuscany, Jesuit theologian and Doctor of the Church; Antonio Vivaldi, priest and composer; Leo XIII, bishop of Rome and social reformer; Pius XII, bishop of Rome; John XXIII, bishop of Rome and initiator of Second Vatican Council, among many others. One could add to this list the founders of various contemporary lay ecclesial movements, notably Luigi Giussani, founder of Communion And Liberation, and Chiara Lubich, founder of the Focolare Movement. Also, Andrea Riccardi, founder of the Community of Sant'Egidio, now one of the great faith based organizations in the world. Around 85% of the Italian population is Catholic, of which one-third are active members Italy has 225 dioceses and archdioceses, more than any other country in the world with the exception of Brazil. It also has the largest number of parishes (25,694), female (102,089) and male (23,719) religious, and priests (44,906 including secular (i.e. diocesan) and religious (those belonging to a male religious institute)). 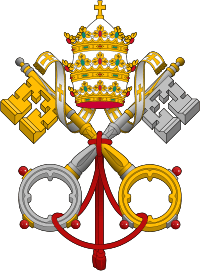 The Primate of Italy is the Bishop of Rome, who is also ex officio Pope of the Catholic Church. The Apostolic Nuncio to Italy is also the nuncio to San Marino; the incumbent is Italian Archbishop Giuseppe Bertello, who has held the office since January 2007. The Latin Church (absolute majority, uses Roman rite except in the Archdiocese of Milan where Ambrosian rite is used). The Italo-Albanian Catholic Church (one of Eastern Catholic Churches, uses Byzantine rite) divided into Territorial Abbacy of Saint Marry of Grottaferrata, Eparchy of Lungro and Eparchy of Piana degli Albanesi. 16 ecclesiastical regions (corresponding to the regions of Italy, with some consolidations). 42 ecclesiastical provinces divided into: 1 apostolic see (Diocese of Rome), 1 patriarchal see (Patriarchate of Venice) and 40 metropolitan archdioceses. 155 dioceses (see: List of the Roman Catholic dioceses in Italy). 2 territorial prelatures: Territorial Prelature of Loreto and Territorial Prelature of Pompei. 6 territorial abbeys: Monte Oliveto Maggiore, Montecassino, Montevergine, Santa Maria di Grottaferrata, La Trinità della Cava and Subiaco. 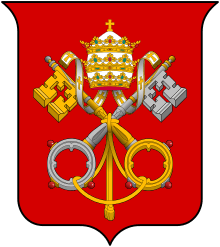 1 military ordinariate: Military Ordinariate in Italy. ↑ "CATHOLIC ENCYCLOPEDIA: St. Peter, Prince of the Apostles". newadvent.org. Retrieved 27 April 2015. ↑ "The World Factbook". cia.gov. Retrieved 27 April 2015.